The spectacular first pylon at Medinet Habu, the mortuary temple of Ramesses III, West Bank Luxor. If you have ever been to Luxor on your own steam, you will remember what it was like to get entry tickets to the many archaeological sites and museums. Each site and each museum required its own ticket. If you were on a cruise ship or part of an organised tour, this was taken care of for you. In trying to make visiting archaeological sites and museums easier for tourists, Egypt’s Ministry of Antiquities has introduced a single ticket that can be used to all archaeological attractions in Luxor – the Luxor Pass. What Archaeological Sites & Museums are included in the Luxor Pass? The first option includes all sites and museums open to the public on both the East and West Banks of Luxor, except the tombs of Seti I and Nefertari. Should you wish to visit these two tombs there is a second, more expensive Luxor Pass that includes both tombs as well as all the sites and museums included on the first ticket. 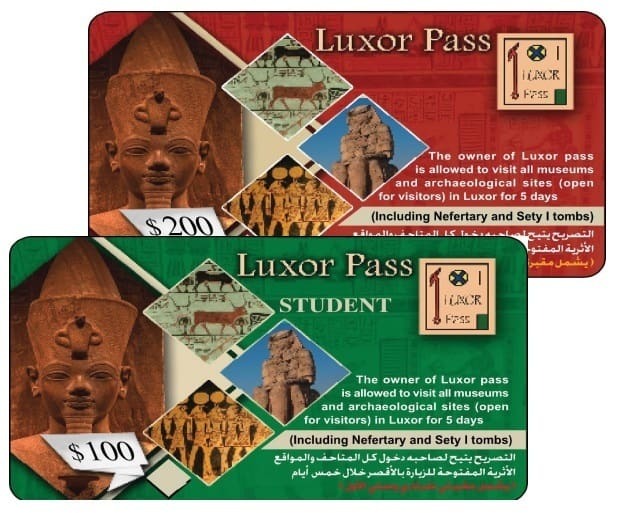 The Luxor Pass allows visitors multiple entries to sites and museums, and is valid for five days. How much does the Luxor Pass Cost? The pass that excludes the tombs is US$ 100 and US$ 50 for students. 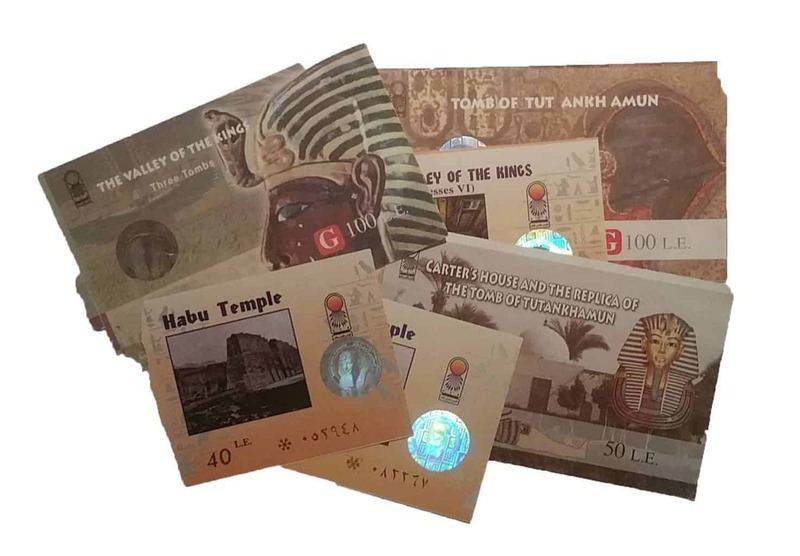 Including entry to the tombs of Seti I and Nefertari will set you back US$200, or US$100 if you are a student. Tickets for the tombs of Seti and Nefertari can be purchased individually, at a cost of 1000 Egyptian pounds each. Bear in mind that only 150 people are allowed in to each tomb daily. Where is the Luxor Pass Sold? To purchase a Luxor Pass, you will need a passport photograph and a photocopy of your passport details page. If you are a student, you will need to take your student identification as well, to prove you are in fact a student. Take these to the Department of Foreign Cultural Relations at the Ministry of Antiquities in Zamalek (Cairo) or from the Public Relations Office in the Luxor Inspectorate, which is behind the Luxor Museum on the east bank of Luxor, behind the Museum. The office is open 9:00 am to 3:00 pm each day, Monday to Friday. From one of the comments below we know the office is open at 9:00 am on Saturday, but I am have not been able to find a closing time. Passes are issued on the spot, so it should only take a few minutes. There is no need to apply in advance. Tickets for Nefertari’s tomb can be purchased at the ticket office for the Valley of the Queens, and at the ticket office for the Valley of the Kings for Seti I. The advantages of the Luxor Pass are twofold, at least. First, if you are going to be in Luxor for at least four of five days and you plan to visit a number of the sites and museums, and perhaps even return to one or two (you are allowed into each site once per day), then you will definitely benefit financially. Unless you include the tombs of both Seti I and Nefertari, you are unlikely to see any such benefits if you are in Luxor for one or two days, and are only able or planning to visit one or two sites. The second and I think most significant advantage is having just one ticket for all the archaeological sites and museums. In short, the Luxor Pass saves you both time and money (seconded by one of the comments below). 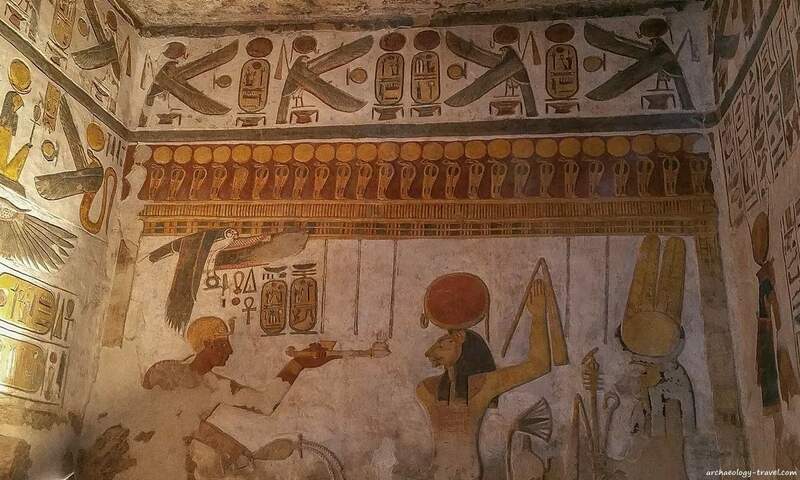 Recently restored paintings in the Temple of Khonsu, in the Precinct of Amun-Ra at Karnak, Read More. There are two types of annual passes for foreigners who work in Egypt. For foreign diplomats and foreigners who are employed in international and multinational companies in Egypt the cost for a pass that includes the tombs of Queen Nefertari and King Seti I is US$340. Or, US$240 for a pass without the royal tombs. Foreign residents in Egypt pay $390 for the pass that includes the two tombs, and $290 without the tombs. Annual passes are also available for Egyptians and Arab residents of Egypt. These cost 400 Egyptian Pounds, or 100 Egyptian Pounds for university students. School pupils and citizens over 60 years of age are given free access to all sites and museums in Egypt. 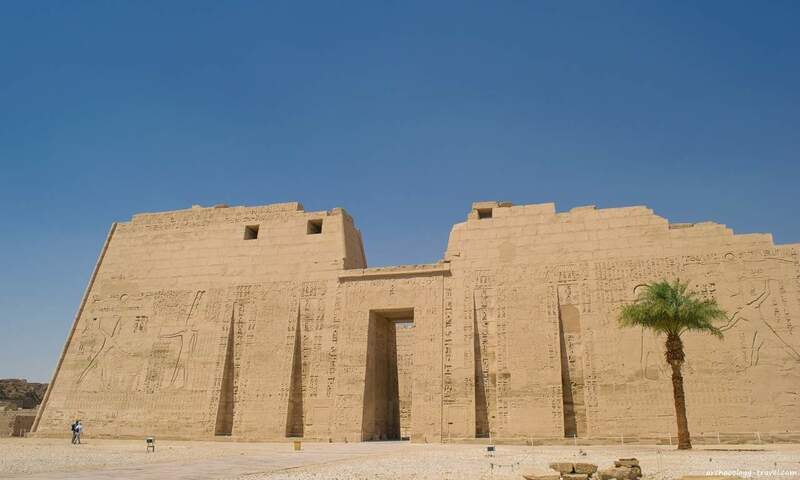 I am a senior Australian in my 70s, visiting Luxor in May. Is there any concession available for senior citizens in Egypt, specifically in Luxor? Apologies for the delay in responding to your question, but I have not been able to find an answer for you. I have written to the Ministry of Antiquities but am still waiting to hear back from them. I shall post an update as soon as I receive it. I was in Luxor a few weeks ago and obtained a Luxor pass, being a student. They did not accept my student identification pass from Leiden- University, but only accepted an International Student Pass. Good to know this, as it will safe a lot of money, just to have this international student pass. The Luxor pass really worked well, as we did not have to buy individual tickets, so it saved a lot of time and all the guards knew the pass. It also saved money as well. Thank you for your comment Johan. Your information will help future students planning their trips to Luxor. Good to read that you found having a Luxor Pass worked well, and that the guards were all familiar with it. There were reports soon after launch that some guards were not yet familiar with the pass. Of course I am delighted you mentioned having a pass saved you time, as well as money. Far too often people forget about the convenience of having a pass. So I am glad to see someone else make the same point. I was in Luxor at the end of January and bought the pass. The opening hours of the Antiquities Office you have listed are incorrect. We turned up at the office at 1545 on a Friday expecting to buy a pass valid from the next day, only to be told that they close at 1500 on a Friday and to come back at 0900 the next day. So they’re definitely open on Saturdays, but I don’t know about Sundays nor the closing times on those days. Another point – it was made clear to us when purchasing that we were only allowed into each site once per day. This includes the tombs of Nefertari and Seti I if you have that pass. We took full advantage of this by visiting both tombs four days in a row! Thank you very much for adding your comment, with additional information. I had heard Luxor Pass holders are allowed into each tomb/site once per day, but I am glad to have that confirmed by someone who has actually done it – obviously with relish ;) !